MA1 plinthed in a park at Granton. This view is from the Tony Hurst's collection and dated February 1979. 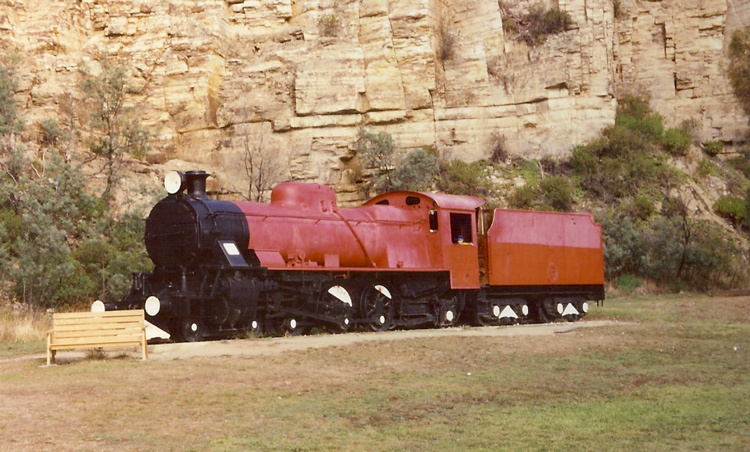 MA1 was built by Robert Stephenson & Hawthorns Ltd in 1951 as their builder's number 7428, and originally numbered M8 of the Tasmanian Government Railways' M-class 4-6-2 locomotives. The 10 locomotives of the M-class were built to the proven design of the Indian Railways metre-gauge YB class pacifics. MA1 had been plinthed in a park at Granton for many years. It was acquired by the Derwent Valley Railway in mid-2000 and moved to their New Norfolk depot, where it remains in store. 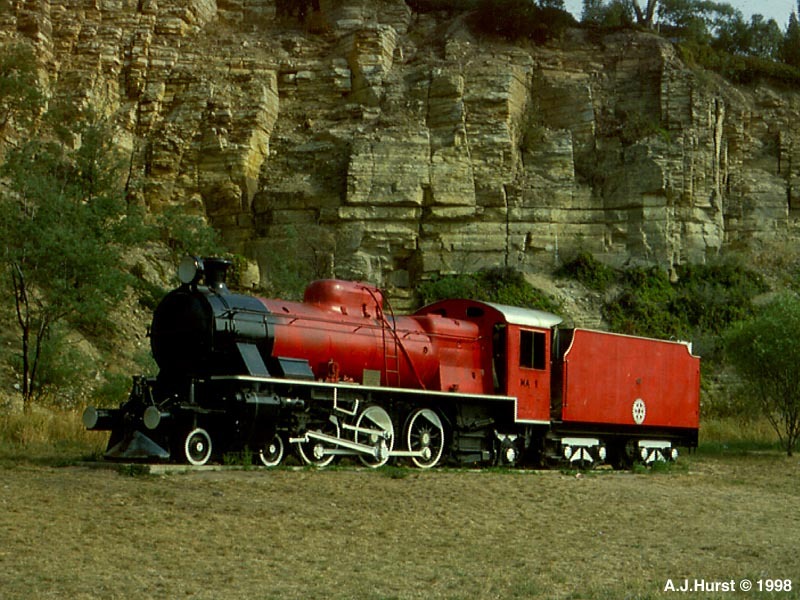 A scanned photo view of MA1 as I found her in May 1993, still whiling away the years in a park at Granton. MA1 has since moved to the Derwent Valley Railway's New Norfolk depot.